Losing access to your dryer could be a real hassle to deal with. Drying at the comfort of one’s home does not compare to the aggravation that going to a laundromat brings or the costs associated with buying a new dryer. CLICK TO CALL NOW & BOOK YOUR APPOINTMENT! Thankfully, there are better options when being faced with a broken dryer. Finding the right repair company is essential in restoring your current broken machine to its original function or even better. Do not wait another minute to get your dryer fixed. Our trained technicians would be able to provide same day service to ensure that you come out a happy customer and are no longer in a stressful situation. Choosing the best repair company is a step towards receiving top-notch service that you deserve when your home appliances fail to operate or do not function properly. Who would rather go out and wash than stay home and be able to do other things while washing? I think the answer to that is no one. Our team works to provide professional service as promptly as possible. World Appliance Service Co, is here to help you with all your appliance repair needs. We provide exceptional customer service to greater Los Angeles area and San Fernando Valley. We offer highly competitive rates on all appliance repairs. 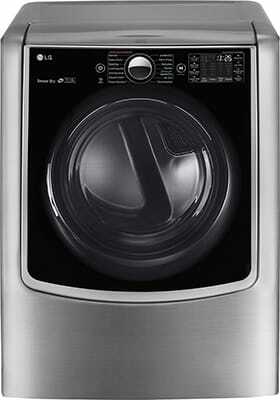 World Appliance Service Co, is here to help you with all your appliance repair needs. We give service to the following areas: Los Angeles and San Fernando Valley in California. Save $20 on all Labor for new customers!